Didi Gorman says this picture, taken during summer camp, "epitomizes what the Scouting experience is to me." There was a time all our tweets came from birds and building things with friends didn’t just mean Minecraft. As the pace of our technology-filled world quickens, families have fewer opportunities for face-to-face interactions and outdoors experiences. That’s why Didi Gorman, a Scouter (volunteer) from Canada is thankful for Scouting. Gorman wrote a short essay and agreed to let me reprint it here. Her words are a reminder that the values of Scouting span generations and borders. Answers will vary depending on age and personality, but the recurring themes are adventure, friendship, sense of belonging, love of nature, exploring new skills, caring for others and creating things. Before moving on, please look at this list again. Can you spot an overarching principle? Well, bingo! I would also argue that these are the building blocks of our well-being, and are at the heart of any flourishing society. But I’m digressing. Scouting is based on these values. 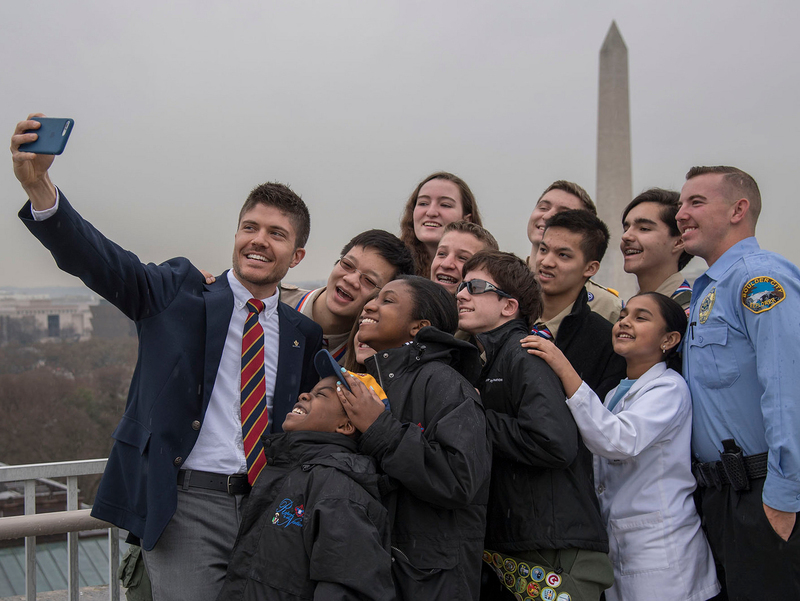 It takes us outdoors and reconnects us with our community and friends, thus providing meaningful experiences to its participants, which explains why millions of people worldwide are in Scouts and why it’s a lasting movement. In a time where most children (and many adults) spend hours staring inactively at a screen, often watching meaningless content or “learning” twisted ideas through social media about what matters, Scouting reminds us that life has so much more to offer if we only went outside and connected with one another. It teaches us important life skills, offers healthy activities, and restores a much-needed balance. The picture I chose for this article epitomizes what the Scouting experience is to me. I took it during our last summer camp at Lake Lovering, near the town of Magog, Quebec, Canada. Our Beavers, Cubs, Scouts and Scouters were having a blast kayaking on the lake. The adventure, sense of togetherness, the sheer beauty of nature around us, and the accomplishment of a successful paddling endeavor all combined into a memorable experience, to be cherished for a long time. Keep up your awesome work, Scouts! You inspire wonderful things.